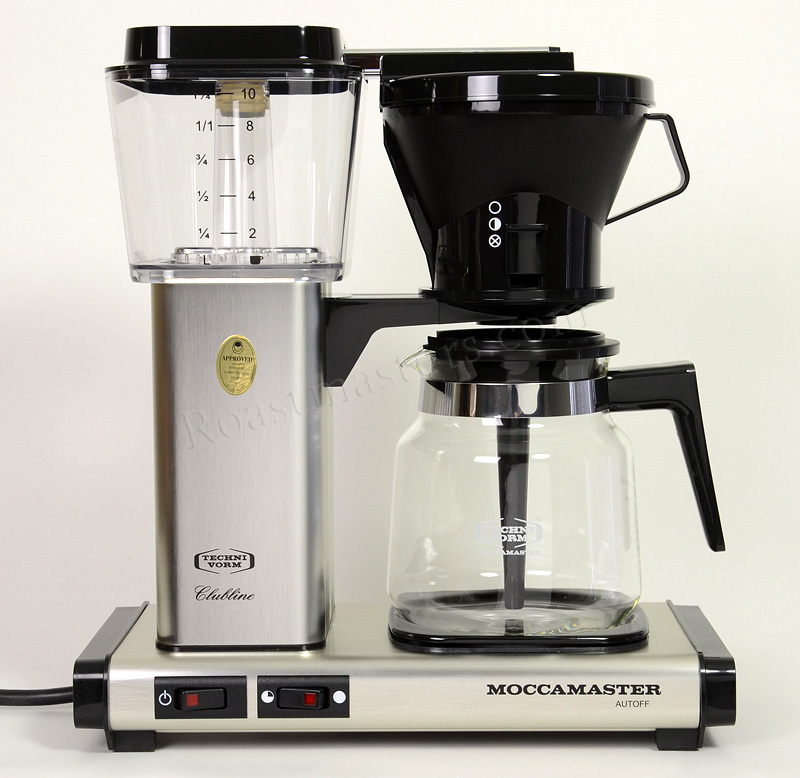 If you are in the market for a coffeemaker with a glass carafe, look no further. 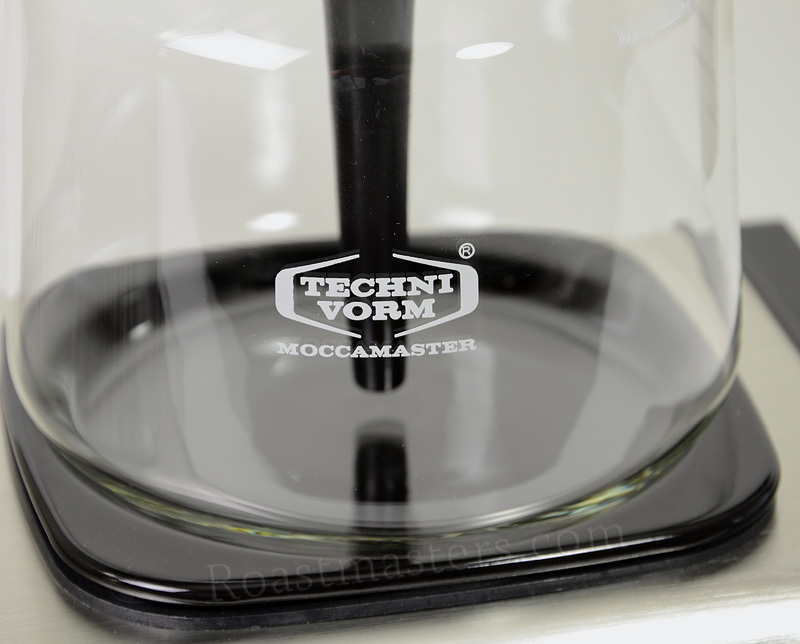 The Technivorm Moccamaster KB-741 is Technivorm's best selling coffee brewer model in the United States. 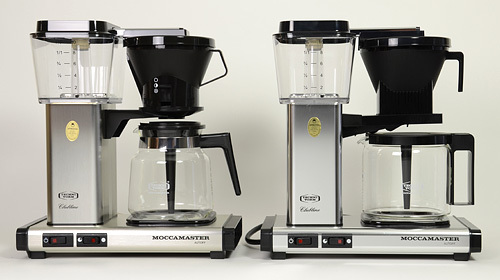 The Technivorm Moccamaster KB-741 and KBG-741 are the best glass carafe models available. 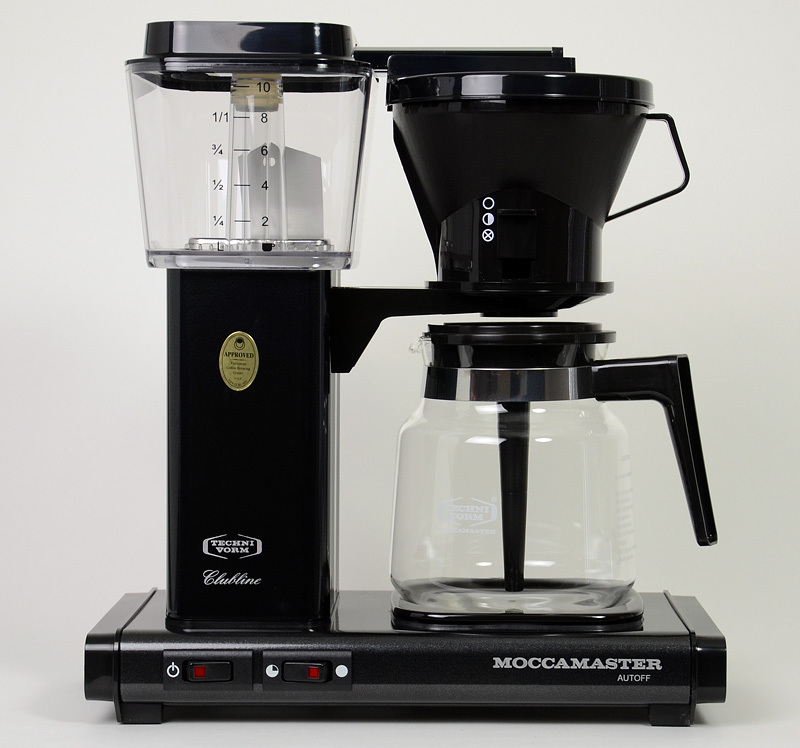 We have always favored brewers with thermal carafes, over those with glass carafes, for keeping coffee flavor optimized. 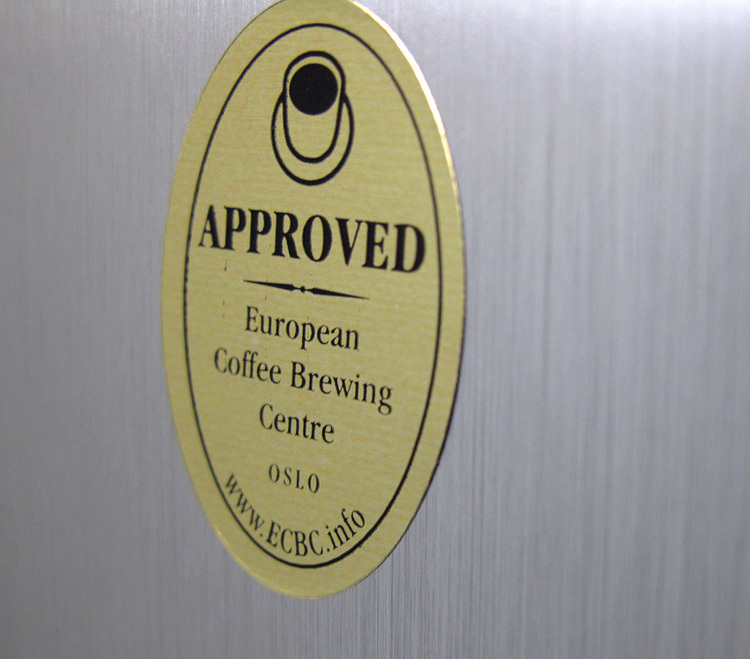 But, after thoroughly testing these brewers we can say that they are best in class and will provide you with many years of great coffee. 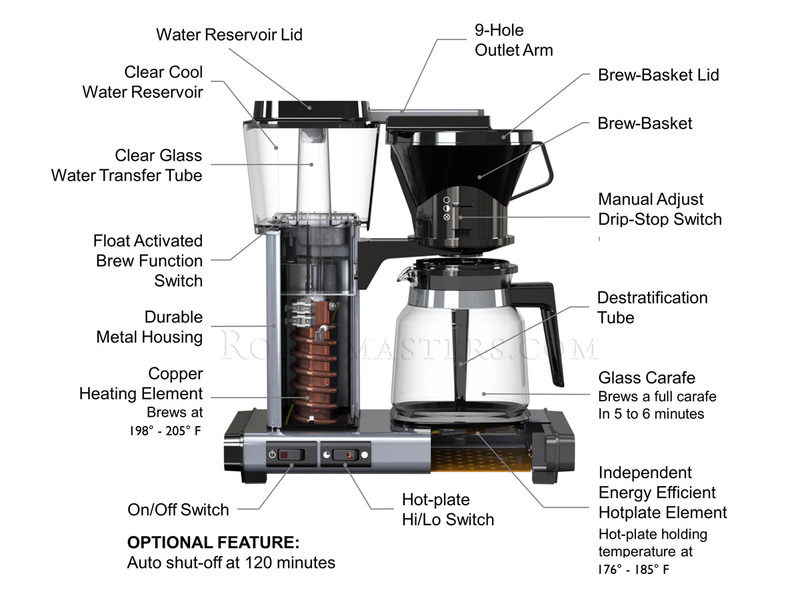 This brewer has been designed to brew and maintain excellent coffee flavor while utilizing a glass carafe and heating soleplate. This is an original Smitdesign, handbuilt in Holland by Technivorm - quality all the way. 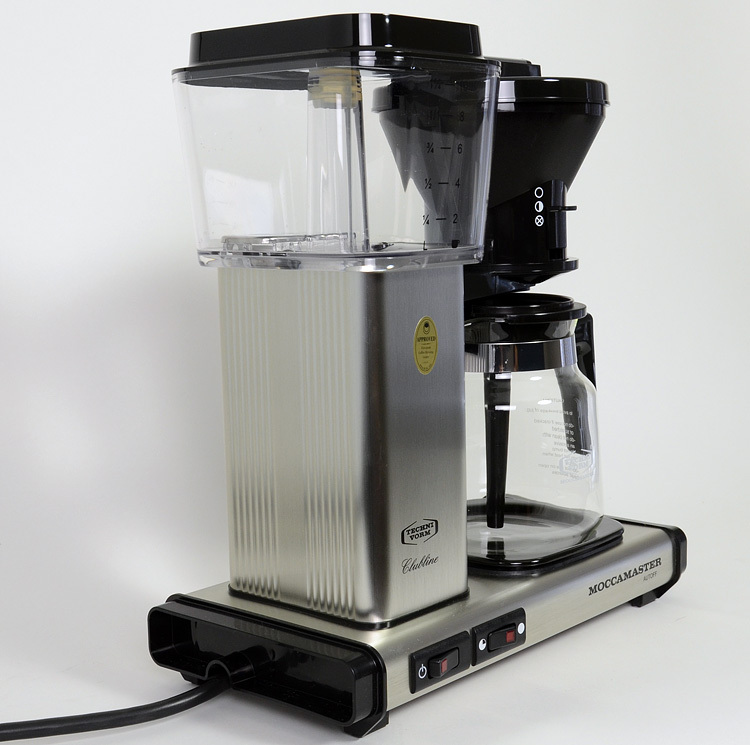 Cleverly designed, the brewer is also solidly built. 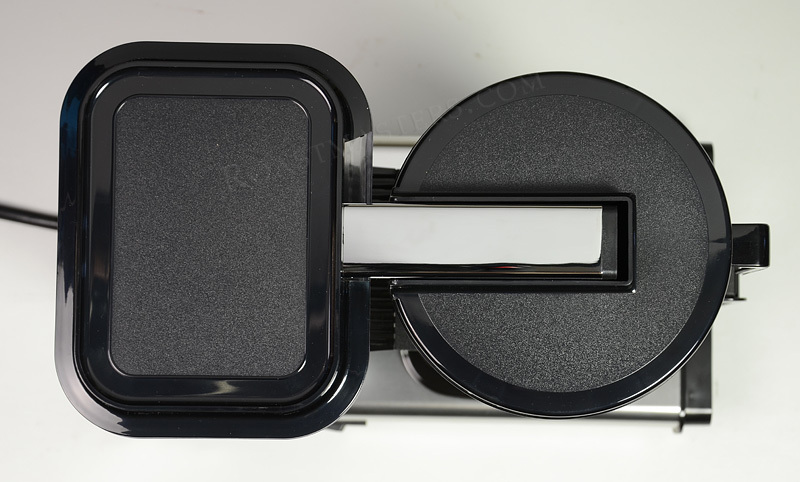 It has a copper boiling element inside with double safety guard. 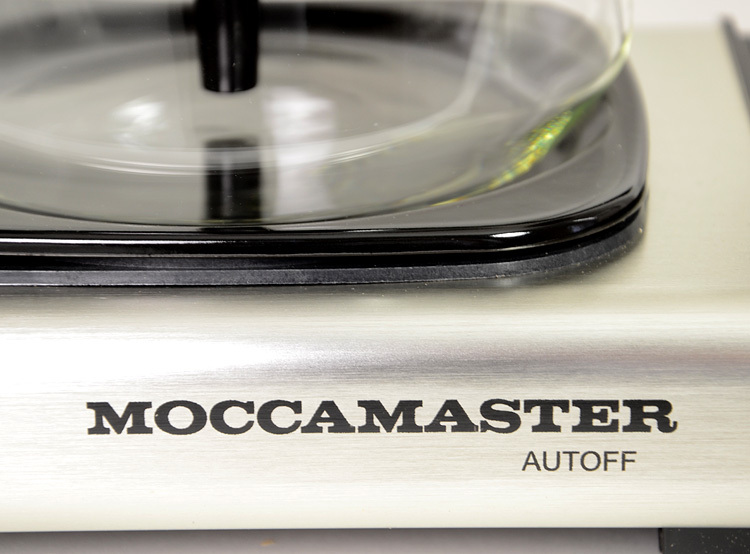 Outside is a sturdy aluminum housing in a brushed silver finish. 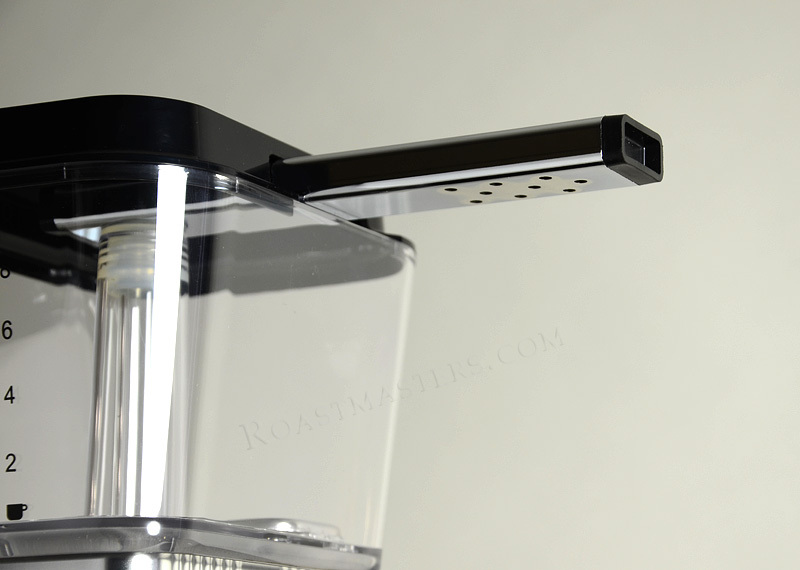 Also included in the KB-741 is a 3-positionswitch on the filter basket that you can adjust to full or half brew, or, to the 'closed' position allowing you to stop the brewing process at any time to serve coffee. 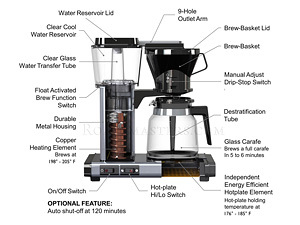 The carafe has a smart design - a slightly tapered top with a long stem takes brewed coffee to the bottom of the carafe so that the resulting coffee is thoroughly mixed and homogeneous; most brewers drip directly into a carafe so the beverage is thinner at top than at bottom requiring it to be manually stirred. 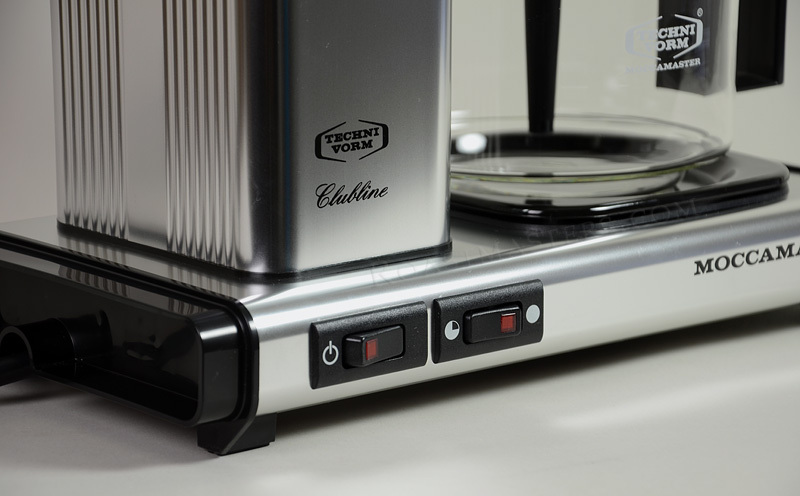 The soleplate, which keeps the coffee hot, is oven enamelled for longevity. What are the differences between the KBG-741 and the KB-741? 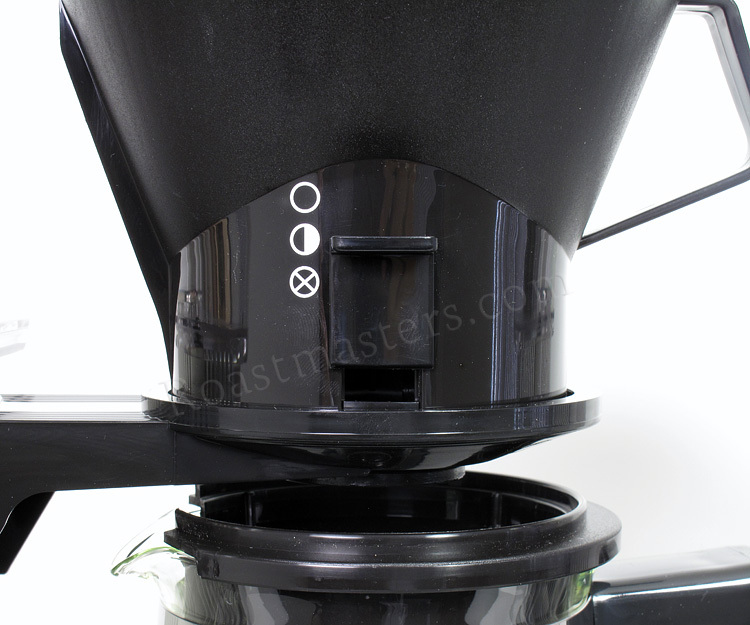 The KB-741 has a switch on the filter basket that you can move to 'closed' position. 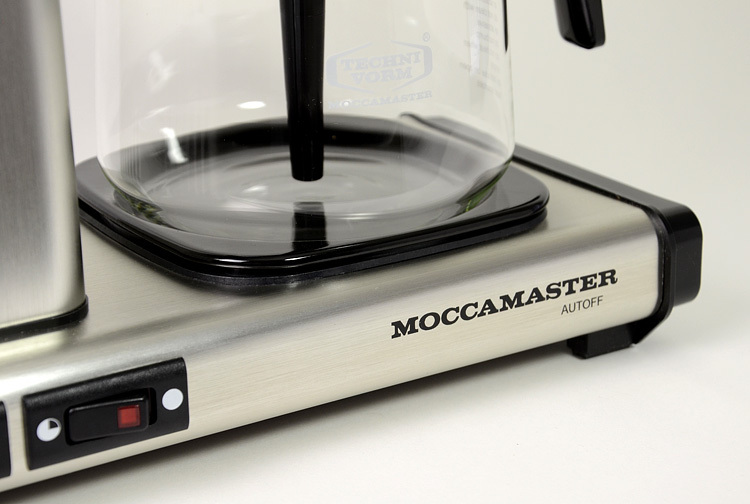 The KBG-741 has a Stop and Serve feature, meaning that you can simply remove the carafe and pour, thus stopping the flow of coffee into the carafe. We do recommend you wait the time for the brew cycle to complete, both for properly strength and safety, but if you don't want to wait out those very last drips then just pour yourself a cup. KB-741 has a brushed aluminum finish; KBG-741 has a polished, though subtle, finish. Minor differences in the shape of the glass carafe. Both carafes have the same capacity. KB741 on left, KBG741 on right. 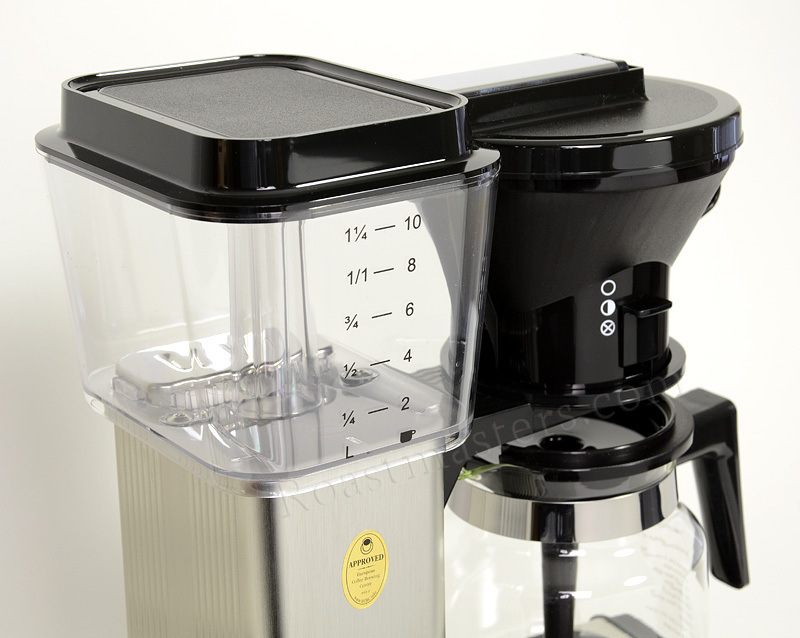 The best selling coffeemaker in Europe, this 10 cup maker has a clever design for keeping coffee at its best in a glass carafe, a real feat.